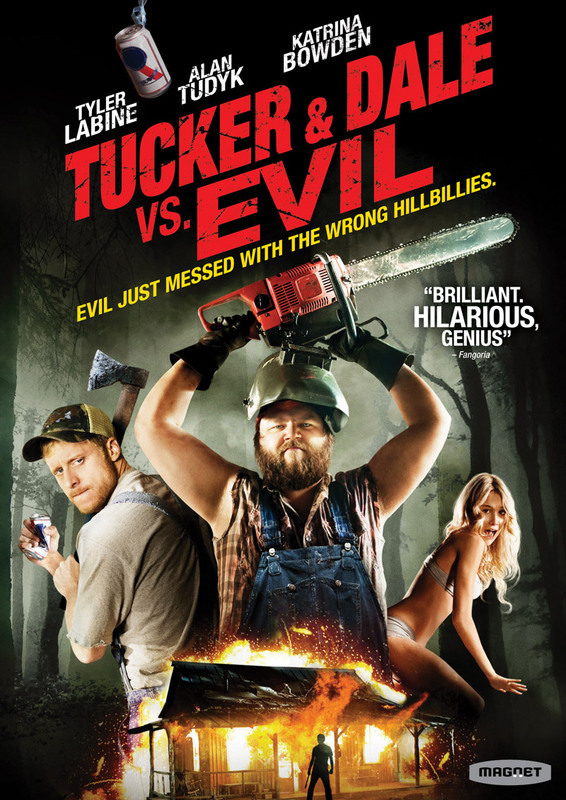 “Tucker & Dale vs. Evil“. Damn, that was unexpected. I somehow totally missed this movie, so thanks to Zoë. It’s neither sci-fi nor horror (at least, not in its traditional form) so I won’t write a full review, but it is a hilarious, witty and original horror comedy, well written and acted. Highly recommended for any fan of my all-time favourite “Cabin in the Woods” or “Shaun of the Dead“. P. S. By the way… “Tucker & Dale vs. Evil” stars Alan Tudyk of “Firefly” and “Serenity“. My persional recommendation of a good comedy horror would be an Italian film ”Della Morte, Dell’Amore”. It’s extremely weird, pretty trashy, full of wry humour and… very funny too. I remember when this came out, I was dead set against watching it. One part was being contrary about watching a recommendation from someone I was a) peeved with and b) I considered to have sketchy taste. I did not feel like a stoner movie (his forte). Ultimately I was roped into this by my now-husband, and I was pleased I was. What I thought this movie was and what it turned out to be? Two totally different things. Horror comedy. Why didn’t someone just open with that? You know I would have been all over that! You read my mind, Bobinsky. I just showed this movie to my original blogging partner the Raven a few weeks ago, and have it lined up for the end of the month. A fun little movie, this one. I completely agree on Tudyk. Been saying the same thing for years. He was okay in Dollhouse. That finale really let everything down. The show overall wasn’t that great, either, but his first appearance was amazing. I really enjoyed the show but haven’t finished it. The main problem was thaf there were too many filler-episodes that don’t develop the plot. Yup. The whole thing was more of a vanity project for Dushku, from the looks of it. I was quite underwhelmed by the show overall, but Tudyk’s performance in his first appearance is worthy of a strong recommendation. I’d go as far as to say that one could watch it as a stand alone. And how did you like Dushku? Which other his films you recommend? Yes, I loved it too and watched them all! It was a bit too long, but still awesome, and watch the last season, there are many reaaaally unexpected things. Which roles you think are his best? Grabbers? Thanks for the recommendation 🙂 Did you see the Italian film ”Della Morte, Dell’Amore”? It’s little known but has its own charme.